For the longest time a JSM foundation (review here) reigned supreme, but no longer! I now have a new favorite base product, Rouge Bunny Rouge Milk Aquarelle Liquid Foundation. This started as a press sample but I quickly ended up purchasing a bottle of my own. So to be clear, RBR sent me one bottle of foundation and also the Aubades and Serenades Colour Matching Concentrate in Sonnet, I purchased another bottle of foundation on my own. I was sent the shade Pecan Milk Parfait, but it was too beige/peach on me. Chestnut Milk Parfait turned out to be a pretty good fit, it's a tad more yellow than my arm but my face is more yellow than the rest of my body. With my order, I was able to get samples of two other shades of foundation, Hazelnut and Cashew. Milk Aquarelle is on the medium-sheer side, can be built up. Melasma and blemishes will still require concealer or multiple layers of foundation if your goal is to hide them. The finish and feel of it is completely different from any other foundation I've tried, it comes out of the pump as a thick cream but once spread it feels almost watery, lotion-y then it disappears into feeling like nothingness. With the right undertone and shade match, I simply can't find where the foundation starts and ends because it blends so well. The only giveaway is the sheen, I find this foundation to be more glowy than I typically go for in a foundation. Set with a bit of translucent powder leaves you with more of a satin matte, my preferred finish. There are a few drawbacks. One, the product separates easily in the glass bottle. It can be thick and oily at the very same time, at different areas inside the bottle. Other than that NARS All Day Luminous Foundation I tried a few years ago, I don't think I've ever had to shake, roll a foundation more. It doesn't mix together very easily either, the bottle is a more narrow type that is particularly difficult to shake together when the bottle is full. Another issue is that the foundation only comes in six shades, this which is where the Colour-Matching Concentrate comes into play. While I admire the intent, it's a One Size Fits All solution that doesn't quite work. Individuals with skintones darker than the Aubades and Serenades Colour-Matching Concenrate in Sonnet wouldn't be able to use it or the foundations, for that matter. Sonnet is a chocolate color with ochre undertones, it might be ok for adjusting a slight tan (if this is the color you to which you tan), but it's not really suitable for foundation corrections of any magnitude. People who are darker than the foundations but have a different undertone (olive, cool pink, etc) wouldn't be able to make their match. In addition, those who are paler, like NC/NW5-15 will also find difficulties finding a shade. I really like how my face feels when I'm wearing this foundation, Milk Aquarelle joins a very exclusive club - foundations that make my face feel nicer than not wearing any makeup at all. Only one other member of this elite group comes to mind, Dolce & Gabbana's liquid foundation also has a similar hydrating quality, though the finish on that foundation is quite different. Rouge Bunny Rouge Milk Aquarelle Liquid Foundation is not without its flaws, but it is also the most natural looking base product I've encountered. It has replaced my previous favorite foundation, Jung Saem Mool Essential Star-Cealer, which I'd really adored for the last year. 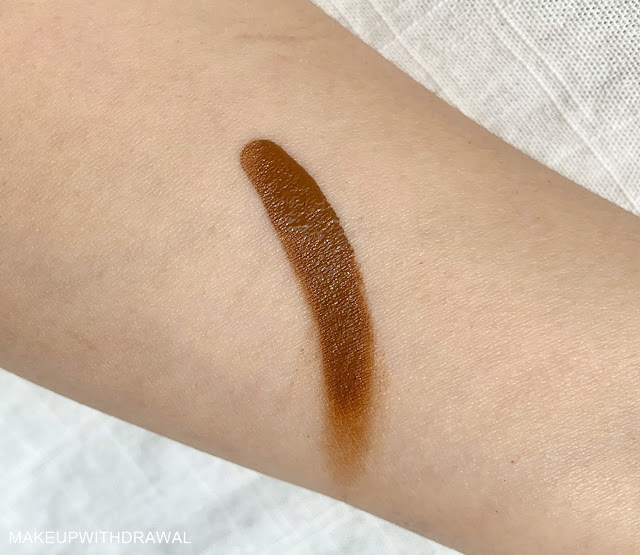 I wish there were more than six shades that are quite close together in shade value, because it really is a phenomenal foundation but unfortunately a very limited number of skin tones will be able to utilize this. Rouge Bunny Rouge Milk Aquarelle Foundation is $57, the Aubades & Serenades Colour Matching Concentrate in Sonnet is $48. I purchased my foundation directly from the US Rouge Bunny Rouge website. The Milk Aquarelle Liquid Foundation is also available from Bloomingdale's. What's your current liquid foundation(s)? Some of the products featured were sent to me as press samples. Post may contain affiliate links. For additional information, please refer to my Disclosure Policy.